Give Your Wallet a Break – Invest in Our New Huck Towels! Cleaning can be a costly endeavor, especially when you use disposable cloths or towels. It might only cost you just a few bucks to grab a roll or two for whenever you need to clean, but how much money could you save if you never had to purchase paper towels? Quite a bit, actually! Want to know a great solution that will help give your wallet a well-deserved break? Invest in some durable, lint-free huck towels! 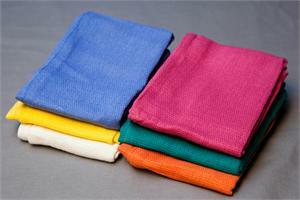 Huck towels are popularly used in the medical industry for wiping down surgical tools after they have been sterilized. They are also used in several other scenarios that require a strong, clean towel such as auto detailing, window washing, and professional housecleaning. Huck towels are perfect for tough and important cleaning jobs because they are incredibly durable, extremely absorbent, and lint-free. Perhaps the best part about huck towels is that they are reusable! You can use them over and over again by washing them; they launder just like regular towels with no special treatment needed. Their design allows them to retain their advantages over a long life of several washings, adding value to your cleaning repertoire and giving you more bang for your buck. If you’re looking to start saving some serious money while getting the cleaning that you need to do done, look no further than U.S. Wiping! We provide an array of cleaning rags, including huck towels. When you order a bag of our huck towels, you will get 50 100% cotton, extremely absorbent, durable 16”x24” rags that are hemmed on all four sides. Our huck towels come in 6 different vibrant colors – blue, jade green, yellow, orange, pink, and white – and are perfect for all types of cleaning. Start saving money now. Visit us online at www.uswiping.com to check out our stock and order your huck towels and other cleaning supplies today! Our nation’s birthday – July 4th – is just around the corner! As we prepare to celebrate our nation’s 238th birthday, we are probably thinking about which fireworks displays we want to see this year, how many hotdogs and hamburgers to throw on the grill, and which red, white, or blue shirt we want to wear that day. But did you know you can also show your patriotic side and your love for your country in how you spend your money? Believe it or not, your spending habits make a lot more of a difference than you might think! When you choose to purchase products that are made right here in the USA, you are improving this country in so many ways. Here are 6 reasons why you should buy American-made products! Help Create More Jobs – When Americans spend their money on American-made products, more jobs are created in our great country. These jobs are the very foundation of a thriving economy, and your dollars help keep our economy growing! Keep the Money Here – Many countries have no minimum wage restrictions or the wages are outrageously low. 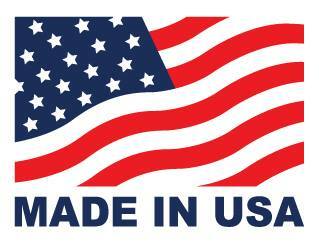 When you purchase products that are made in the USA, the proceeds will remain here in the United States. That money will then pay the workers who directly or indirectly created the product that you purchased. You will help Americans nationwide make an honest day’s wages for an honest day’s work. Promote Conservation – Importing countries that ship their materials overseas to the United States are increasing unnecessary emissions in our atmosphere and becoming an added toll on the petroleum usage. Help conserve our world’s resources by purchasing products that are made right here in our great country. Help Create More Jobs – Each manufacturing job creates an additional 5 to 8 jobs here in the United States. This happens when you take the time to purchase American-made products! Keep America Beautiful – American manufactures make sure to stick to strict regulations in order to protect our beautiful environment. These regulations that we have here don’t exist in most of the top countries that manufacture and import their goods to us here, causing massive pollution and abuse to the environment. If you want to see our beautiful country continue to be breath-taking and awe-inspiring, then you should purchase products made here in our country. Support Human Rights – Several importing countries have very little or no regulations and standards for working conditions for their workers. When you purchase USA-made products, you are taking a stand against horrible working conditions such as long hours, extremely low wages, child labor, and many more. You don’t have to go far to purchase American-made products. Here are the USA-made products that we have so far here at U.S. Wiping! If you need formidable cleaning products that are made right here in our fine country, you can get started today! Just visit us online at www.uswiping.com to check out our inventory or place an order! Call us if you have any questions at (314) 421-3311. We look forward to hearing from you!